We knew the LEGO Overwatch sets were coming. We even got our first look at a Bastion set. 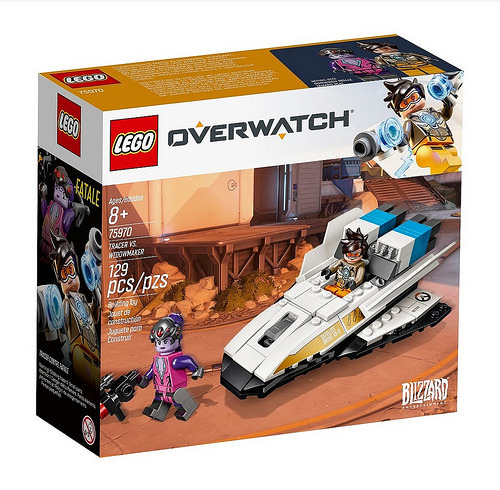 However, thanks to our good friends at Target who have leaked some product images, we now know a whole lot more about what the LEGO-Overwatch partnership will bring. Prepare your wallets now, Overwatch fans. The six leaked sets range in price and scale, and feature a variety of your favorite heroes. Sadly, some heroes aren’t included in any of these sets, but hopefully they’ll be introduced down the road. Highlights include the four-way fight between Mercy, Pharah, Winston, and Reaper. Another standout is the large-scale D.Va and Reinhardt set, complete with a D.Va minifig! Based on these images, the sets really seem to capture the spirit of Overwatch. No release date has been given to the sets yet, although here’s hoping we get them in time for the holidays. In other Overwatch news. The Halloween Terror 2018 event is still going strong and will last until the end of the month. In addition, Blizzard just revealed where the proceeds for the pink Mercy skin are going. And LEGO sets may not be the only real-world Overwatch merch coming. If a new rumor is to be believed, Lucio’s in-game cereal could be coming to store shelves. Will you be picking up any of these LEGO sets? If so, which ones? Let us know!